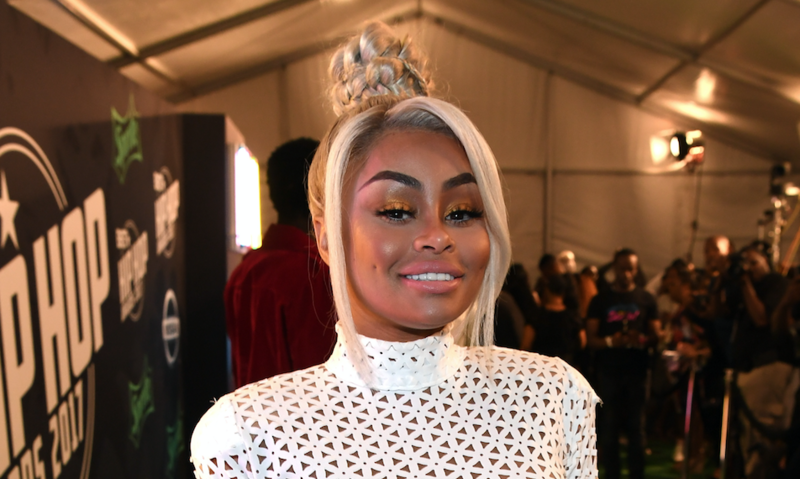 So the feud continues… Blac Chyna took to Instagram to post a fierce photo of herself rocking blue hair and reflective sunglasses, but it’s her caption that has people wondering if there’s a second meaning to her choice of words. “There are some things I learned best in storm, and some in calm,” the 29-year-old wrote alongside the pic, and her followers couldn’t help but point out that she may have been throwing some shade at Kylie Jenner and her newborn daughter Stormi Webster. This post comes just days after reports began circulating that Kylie had recently dropped out of the lawsuit she and Rob Kardashian filed against Chyna. The 20-year-old was originally suing the mother of Dream Kardashian for damages that allegedly occurred during a blowout fight between Rob and Chyna back in December 2016, according to Us Weekly. Chyna’s ongoing feud with Kylie dates all the way back to 2014, when Chyna’s baby daddy Tyga left her to date Kylie. Then, Chyna began dating Rob, and the two eventually welcomed their daughter together. But things ended badly when the couple got into a fight while living in one of Kylie’s rental homes, which forced her to take legal action against Chyna. The feud only gets messier, though, as Chyna currently has a lawsuit open against baby daddy Rob, Kim Kardashian, and Kris Jenner because she claims that they urged E! to cancel her reality TV show, Rob & Chyna. Even though the two share little Dream, and it looks like Kylie’s putting the drama between her and Chyna to rest, it appears as though the reality star still has some beef with the Kardashians — Kylie and Stormi in particular.